But the soft-spoken, 55-year-old Canadian computer scientist, a recipient of the AM Turing Award — considered the Nobel Prize for computing — prefers to see the world though the idealism of Star Trek rather than the apocalyptic vision of The Terminator. Erasing those equations could come at a heavy cost for humans as well as machines. Bengio, a professor of computer science at the University of Montreal, is self-effacing. But his work in an area known as “deep learning” — “teaching machines to learn in a way inspired by how our brains compute,” he says — has already affected our daily lives in countless ways, making it possible for Google Translate to convert a sentence from French to Mandarin or for software to detect cancer cells in a medical image. He and his researchers are also harnessing AI to discover molecules that could cure diseases, to detect gender bias in textbooks and to predict when natural disasters will happen. Cherri M. Pancake, the president of the Association for Computing Machinery, which offers the $1 million prize, credited Bengio and two others AI luminaries who shared the prize, Geoffrey Hinton and Yann LeCun, with laying the foundation for technologies used by billions of people. “Anyone who has a smartphone in their pocket” has felt their impact, she said, noting their work also provided “powerful new tools” in the fields of medicine, astronomy and material sciences. Despite all the accolades, Bengio recoils at scientists being turned into celebrities. 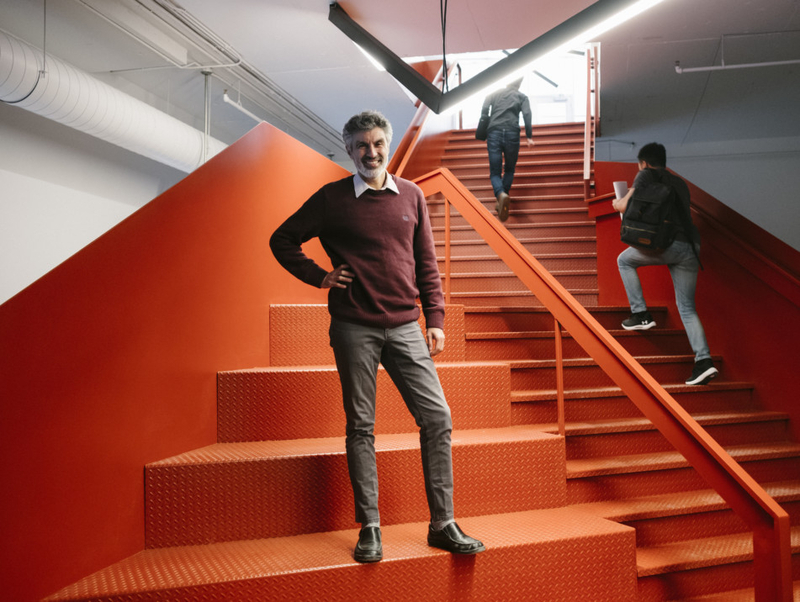 While Hinton works for Google and LeCun is the chief AI scientist at Facebook, Bengio has studiously avoided Silicon Valley in favor of a more scholarly life in Montreal, where he also co-founded Element AI, a software company. Myriam Coté, a computer scientist who has worked with Bengio for more than a decade, described him as an iconoclast and freethinker who would feel stymied by the strictures of Silicon Valley. A communitarian at heart, she said, he shuns hierarchy and is known for sharing the profits from his own projects with younger, less established colleagues. That, in turn, has informed his approach to AI. Even as the late Stephen Hawking, the celebrated Cambridge physicist, warned that AI could be “the worst event in the history of our civilisation,” and billionaire entrepreneur Elon Musk has cautioned it could create an “immortal dictator,” he has remained more upbeat. The son of Sephardic Jews from Casablanca, Morocco, who emigrated to Paris in the 1960s, Bengio traced his interest in AI to his childhood, when he hungrily devoured the science fiction books of Isaac Asimov, Ray Bradbury and Arthur C. Clarke. At the age of 11, he recalled, he began programming by plugging numbers into a calculator. Asked to recall the most formative memories from childhood, he suddenly paused and made an unlikely confession. Bengio attributed his success to his socially conscious parents, noting that his father, a pharmacist who directed theatre, and his mother, who managed artists, gave him and his brother the freedom to think for themselves. It appears to have worked. His brother, Samy, one year younger, runs a research group at Google Brain, an AI research team. The two were “practically twins,” he said, collaborating on research and exchanging ideas. “It wasn’t just some mathy thing or computer science, but about understanding human intelligence to build intelligent machines.” Postdoctoral work at the Massachusetts Institute of Technology and Bell Labs followed. Bengio recalled that he, Hinton and LeCun laboured on neural networks for decades, even as many in the computer science establishment dismissed them as dabblers in a form of “dark magic” with few if any practical applications. For Bengio, ignoring the naysayers and bucking conventional wisdom came naturally. 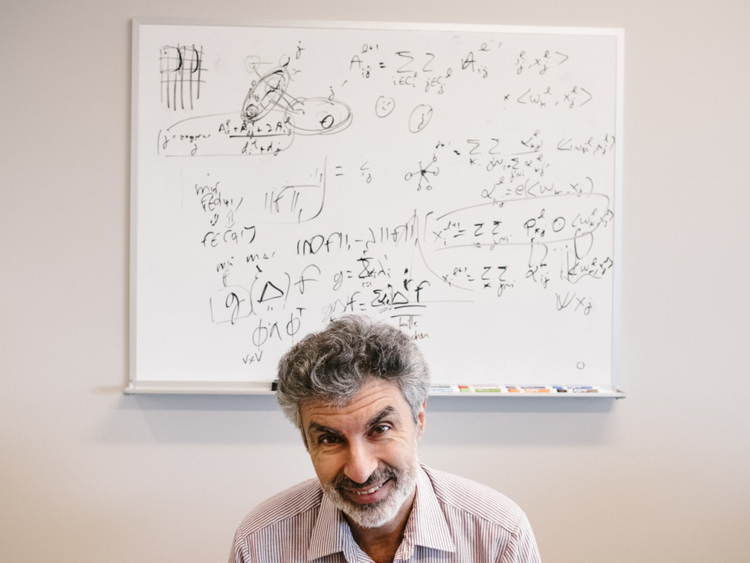 While their trailblazing work transformed the field — and turned him into an AI superstar — Bengio still delights in spending time with students, whom he describes as a “family.” He is divorced and has two grown children, one of whom has gone into AI. He spends his rare free moments reading Spinoza and walking in the woods near his house. Unimpressed by scientific prizes or riches, Bengio stressed that complacency and overconfidence were the enemies of scientific progress.